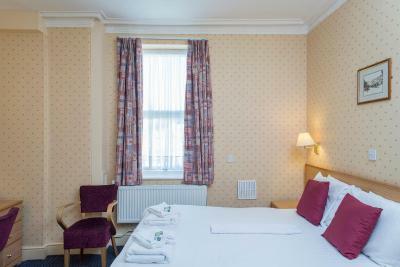 Lock in a great price for Hydro Hotel – rated 8.3 by recent guests! Lovely staff. Good breakfast. 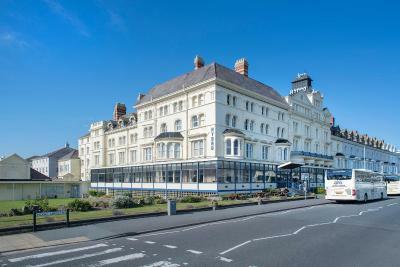 Parking outside the hotel on the Promenade is free from 4pm to 10am. 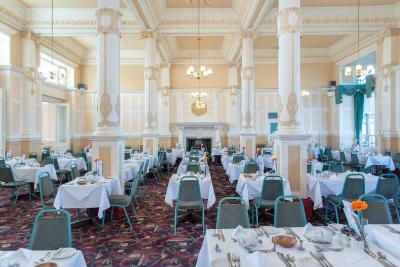 All staff were friendly and helpful. Food was good and value for money. Service was good. Asked for quiet rooms, and we got quiet rooms. Staff lovely room and bathroom. Was clean nothing to moan about. Friendly, smart, professional staff. 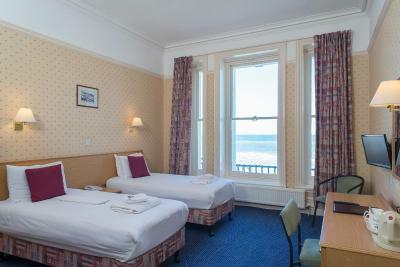 Well situated on the sea front, great views from our room. Comfortable bed and good breakfast. Excellent breakfast and friendly staff. Lovely bar and bedroom very clean. No complaints, will return as we had a lovely relaxing break. 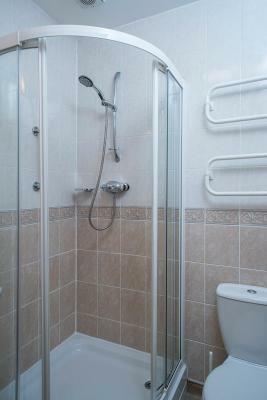 Very clean and warm room. Very close to theatre and station. 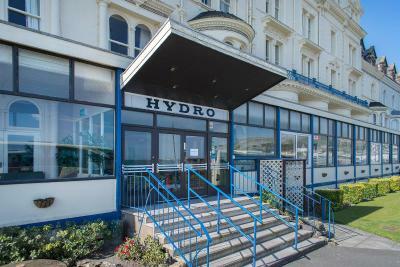 Hydro Hotel This rating is a reflection of how the property compares to the industry standard when it comes to price, facilities and services available. It's based on a self-evaluation by the property. Use this rating to help choose your stay! 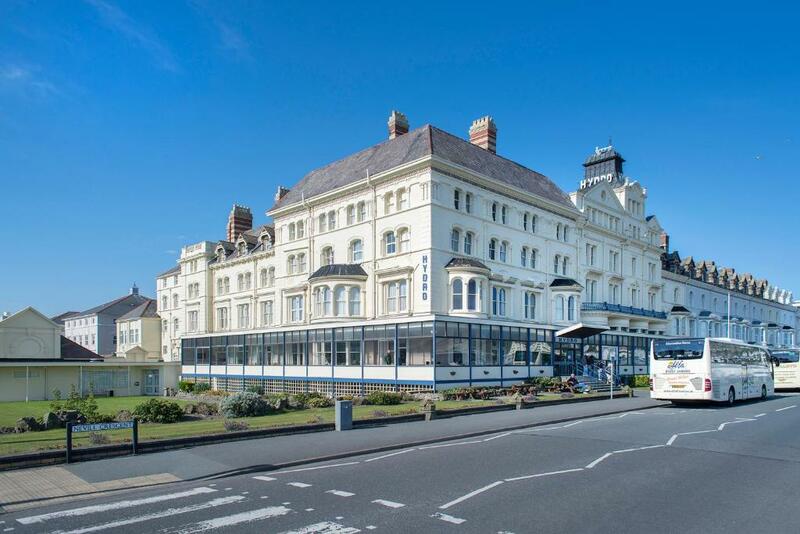 Overlooking Llandudno Bay, Hydro Hotel is just a 15-minute walk from the nearest beach and 2.5 miles from Llandudno town center. 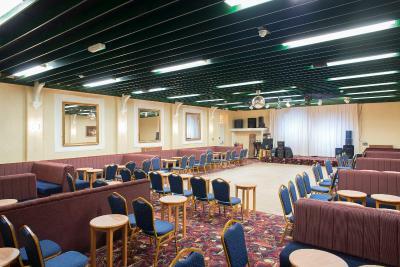 Free on-site parking is available, and the hotel also has a games room with snooker table and table tennis. 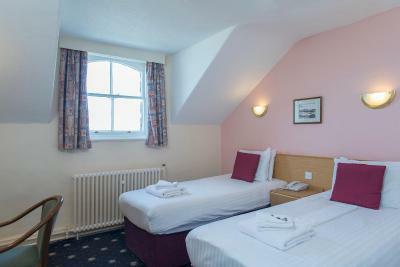 An private bathroom, TV and tea/coffee making facilities are provided in each room at Hydro Hotel, and many have views over the bay or town. 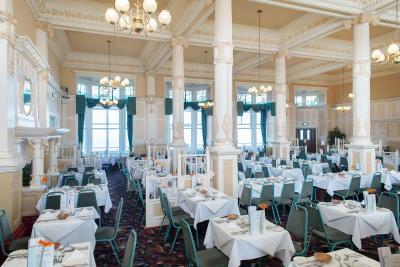 Full English and continental options are offered at breakfast, and hearty evening meals are served in the ground-floor restaurant. 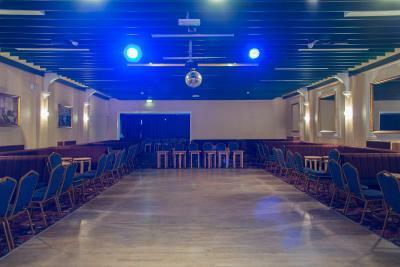 The hotel features a large ballroom with dance floor, and entertainment is provided on most evenings. 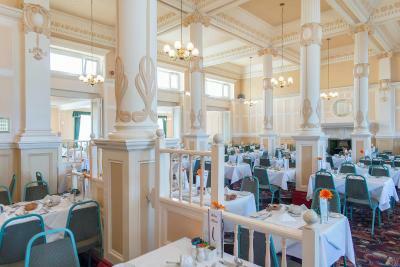 Guests can also relax in the Looking Glass bar or out on the sun terrace. 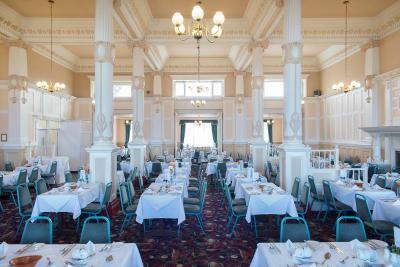 The Great Orme Tramway can be reached in a 10-minute drive and runs every 20 minutes and 7 days a week. 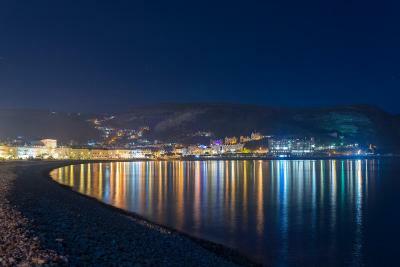 Llandudno Ski and Snowboard Center is just over 3 miles away and has the longest toboggan run in the UK. When would you like to stay at Hydro Hotel? 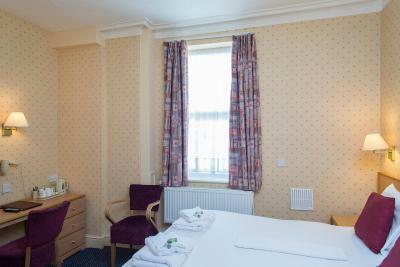 This room features a TV, private bathroom, tea/coffee making facilities and a hairdryer. 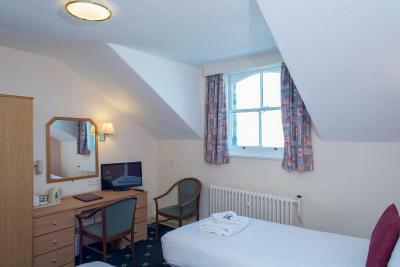 This room features a TV, private bathroom, tea/coffee making facilities, and sea views. 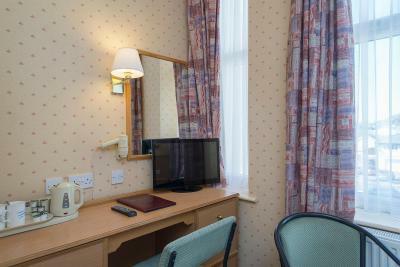 This room features a TV, private bathroom, tea/coffee making facilities, and a hairdryer. 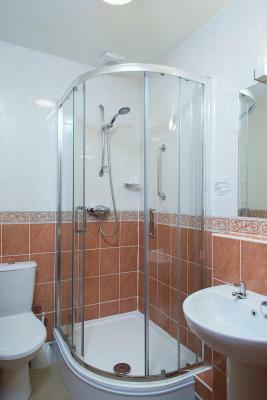 House Rules Hydro Hotel takes special requests – add in the next step! Hydro Hotel accepts these cards and reserves the right to temporarily hold an amount prior to arrival. 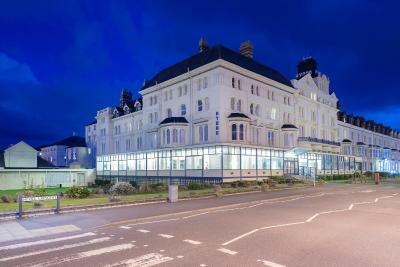 A GBP 25 deposit per person is taken at the time of booking. 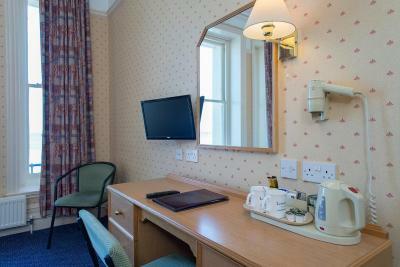 The 24-hour front desk is covered by a phone service through the night on Saturdays and Sundays. Please note that in case of payment with credit card, a 2% surcharge may apply to your reservation. 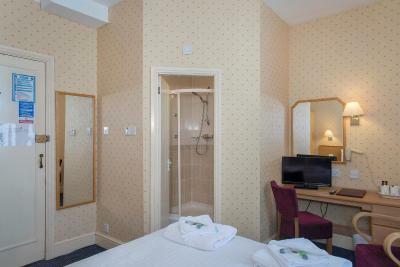 Hotel was advertised with entertainment and games room. We were unable to use part of the games room as it was unsafe. No entertainer on Sunday. Maintenance work on the exterior detracted from the building. 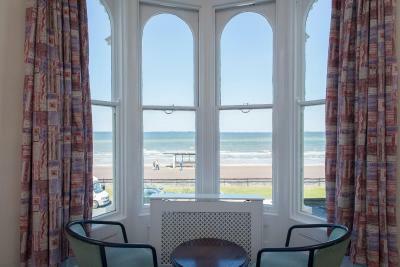 We had a sea view on the first floor. The breakfast cold, the waiter for forgot our milk and butter did not return for 15 minutes!! !